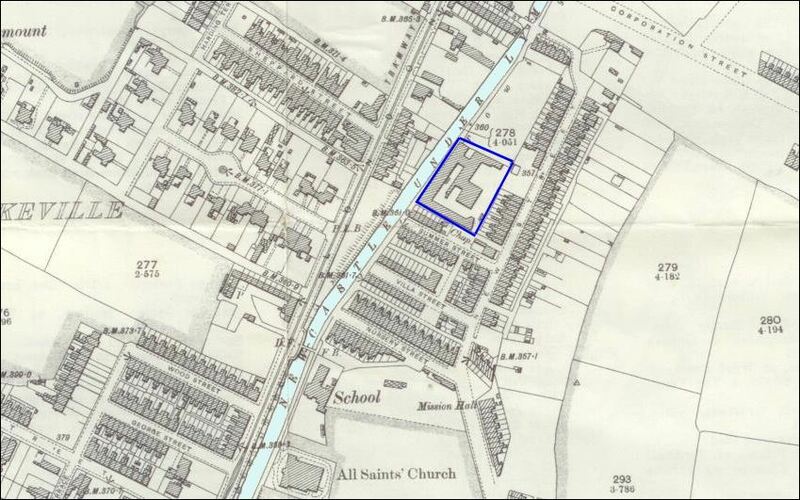 The Birks family has been involved in the ceramic industry in the Potteries since 1812 when ten year old Isaac Birks modeled a black basalt creamer. 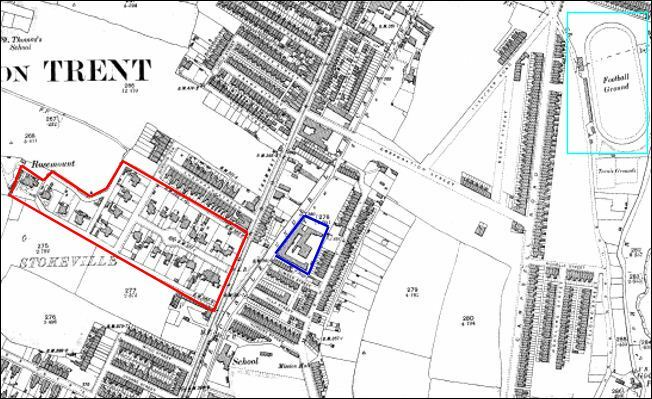 Isaac worked for Minton where ten members of the Birks family covering at least three generations were employed at some time, usually as modelers. Lawrence Arthur Birks (b.1857 - d.1935) worked 22 years for Minton, and was apprenticed to the great pâte-sur-pâte artist Louis Marc Emmanuel Solon. 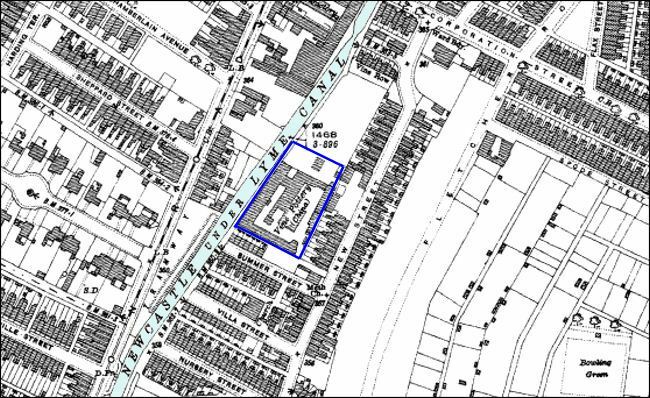 He left Minton in 1894 establishing L. A. Birks & Co. in 1895 which in 1900 became Birks Rawlins & Co.
1900 1933 Birks, Rawlins & Co. (Ltd) After Goodfellow's retirement the company became Birks, Rawlins & Co. 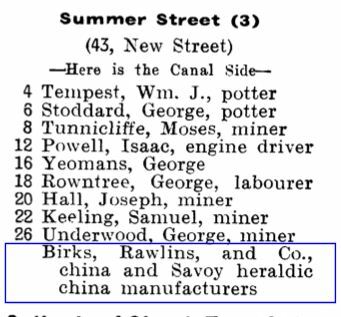 In 1928 Wiltshaw and Robinson purchased Birks, Rawlins and Co, when the latter found themselves in financial difficulty following the National Strike and Wall Street Crash. 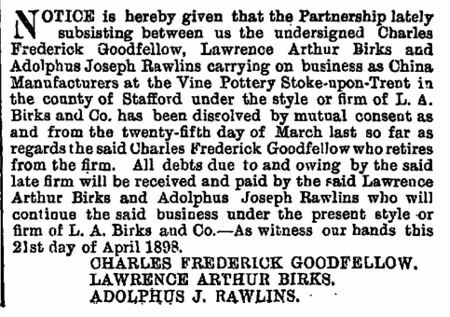 They incorporated a new company, Birks, Rawlins and Co. Ltd., with the intention of continuing to manufacture china at The Vine Pottery. Birks, Rawlins had produced a huge range of fine bone china using the trade name Savoy China and Wiltshaw and Robinson made good use of their patterns and shapes, adding many of their own patterns. Shortly after the takeover a new trademark "The Original Birks China" was registered for Birks, Rawlins and Co, with the intent of trading on the old and respected name of Birks, Rawlins. Unfortunately this had little success and the number of patterns or shape produced is not known, with the quality not up to that of previous production. 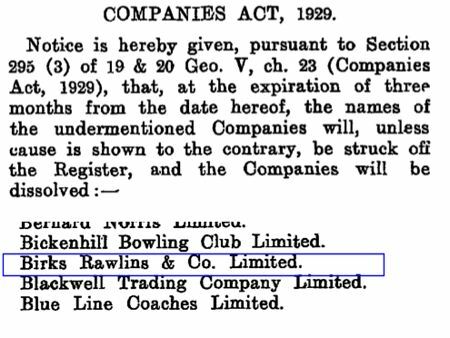 from the business of L.A.Birks & Co.
notice of the dissolution of Birks, Rawlins & Co. Ltd.